Wrath of Silence is a Chinese thriller mystery with a truly captivating story. Do not miss it if you get the chance to watch it. Screened at CPH PIX 2018. Wrath of Silence (org. title Bao lie wu sheng) is a thriller mystery from China. The movie is a perfect example of how universal feelings and reactions are. The lead character doesn’t speak so he never utters a single word. However, he always manages to get his point across. And he never ever backs away from a fight. The fight sequences in Wrath of Silence alone is enough reason to watch it. But the movie does also have a lot of heart! The lead character, Zhang Baomin, is a man who may not always think before he acts. However, he never sets out to hurt anyone. Instead, he simply reacts to people around him. This may not sound like a big difference, but it really it. He tries to avoid confrontations, but the fact that he doesn’t talk seem to invite other people to react very quickly. And once action is required, Zhang Baomin turns out the be the strong, silent type. Wrath of Silence features some brilliant fight scenes. Forget about the pretty fight scenes from Kung Fu movies. This is more like an ugly bar fight. It’s gritty and features a lot of furniture and appliances getting thrown around. Zhang Baomin is perfectly portrayed by Yang Song. Basically, he fights like Steve Rogers before he became Captain America. You may be able to get him down, but he will never stay there. In fact, he seems like one of the toughest characters, I have seen in many years. And yes, he does indeed get very hurt. Yang Song is the absolute star of Wrath of Silence since he plays the main protagonist and is in most scenes. He delivers an incredibly believable performance without speaking a word. And yet, we understand everything. As with many Asian movies (in particular those from South Korea, which we love) tend to run a bit long. This is usually because we get time to know the characters. For me, this works brilliantly, but for others, it may feel like the pacing is too slow. In Wrath of Silence, the pacing is never really slow, but we do get introduced to quite a few characters. And the characters are both memorable and fascinating. Especially the curly-haired crime boss. He is one mean motherf**ker in the most basic ways. It’s all about survival of the fittest and he makes sure it’s always him. By any means necessary. After watching the movie, it really does all make sense. And if you watch it again – or remember minor details from the movie – you will probably notice a big reveal earlier in the movie. *MINOR SPOILER* A boy actually makes a drawing of what happened to Zhang Baomin’s missing son. Yukun Xin wrote and directed Wrath of Silence, which is only his third feature film. He wrote and directed his first feature film in 2014, so he’s definitely moving fast. He graduated from the Beijing Film Academy in 2008, so it would seem like Yukun Xin is only just getting started. His style is very international, while also staying true to the area of the story. Apparently, he’s a big fan of directors like Steven Spielberg and Christopher Nolan. Maybe we’ll see him working with one of these in the future. I actually hope so since this would mean more people would get to see his work. Wrath of Silence [Bao lie wu sheng] premiered in China back in July 2017 at the First International Film Festival Xining. It’s still playing at film festivals all over the world and we were fortunate to catch a screening at CPH PIX 2018 in Denmark. ZHANG Baomin (Song Yang) is a miner who works far away from home because of some disputes he had with the townsfolk years ago, whilst his wife and son remain near the mountains running a small sheep farm. One day, Baomin learns that his son Lei hasn’t come back from shepherding for two days. He goes back to find his son. His appearance back in town makes people anxious. 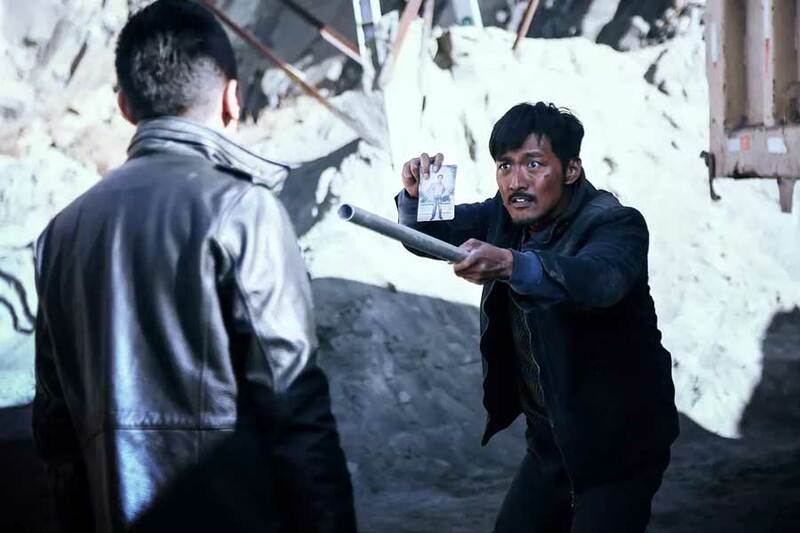 Searching for his son, Baomin heads for the rough and dangerous mountains, but the resentment and distrust of the townsfolk leads them to turn a blind eye to the reality of a missing child, and the corruption and danger permeating their lives.